Prepare to be astounded! 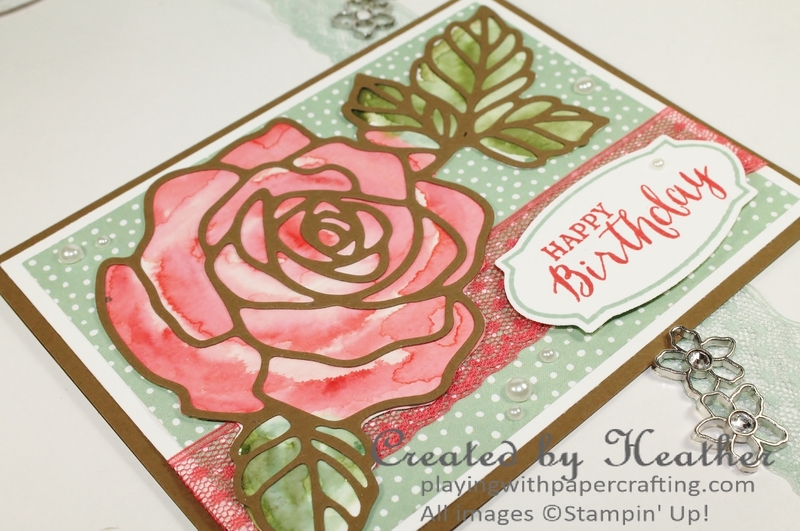 This is certainly one of the products from the new 2016 Occasions Catalogue that caught my eye in a flash! 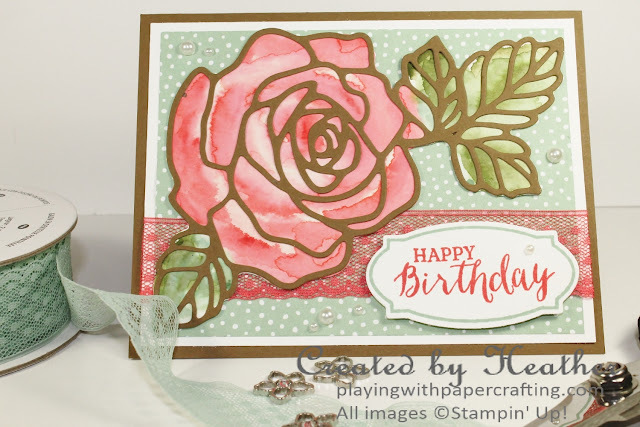 The Rose Wonder Stamp Set* and the Rose Garden Thinlet Dies* create amazing cards so easily! This one involved some watercolouring on watercolour paper, using the die to trace an outline so I know where to locate the greens and pinks. 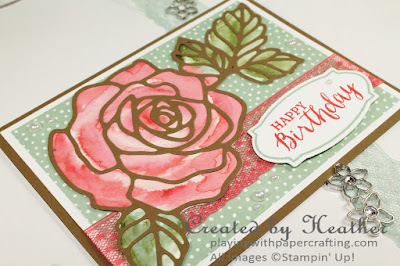 The colours I used with my Aqua Painter are Blushing Bride, Watermelon Wonder, Mint Macaron and Mossy Meadow. This is an example of the Wet to Wet technique I used here. The new Big Shot Die Brush came in handy with this rose thinlit and it worked like a dream, helping me to extract the Soft Suede outline from the die. I glued it to the watercolour paper and then trimmed all along the outline. 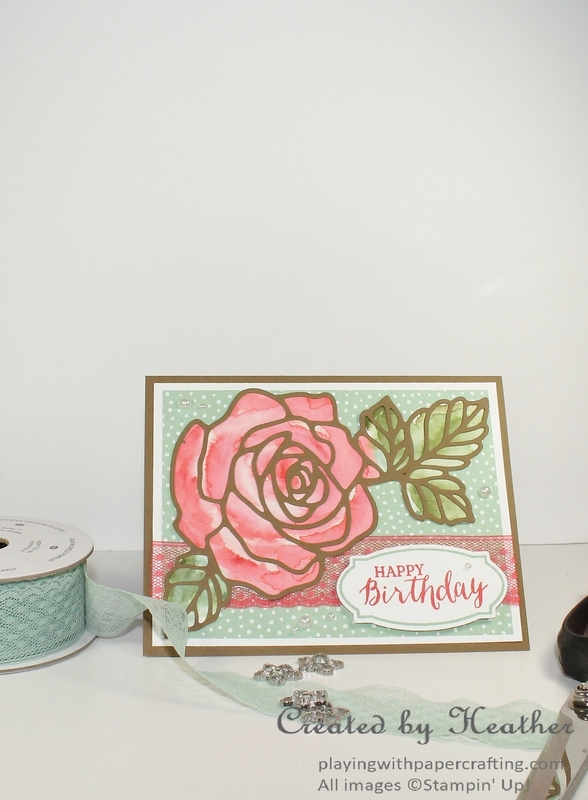 I got my colour palette from the new Birthday Bouquet Designer Series Paper*, one of which you can see in the background. The sentiment and the label stamps are also from Rose Wonder* and the label coordinates with one of the dies from the Rose Garden set.